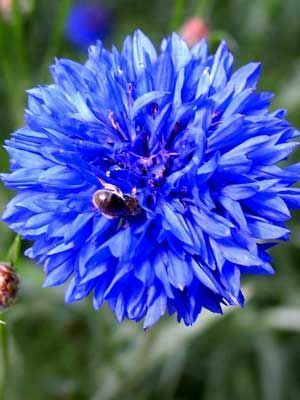 Young cornflower seedlings can tolerate freezing temperatures, so seeds can be planted in the autumn where winters are mild. Sow in fall to winter in climates with mild winters. Plant seeds in soil or in containers about 2 inches (5 cm) apart and one-half inch (1 cm) deep. Thin to 8 inches (20 cm) apart in all directions.